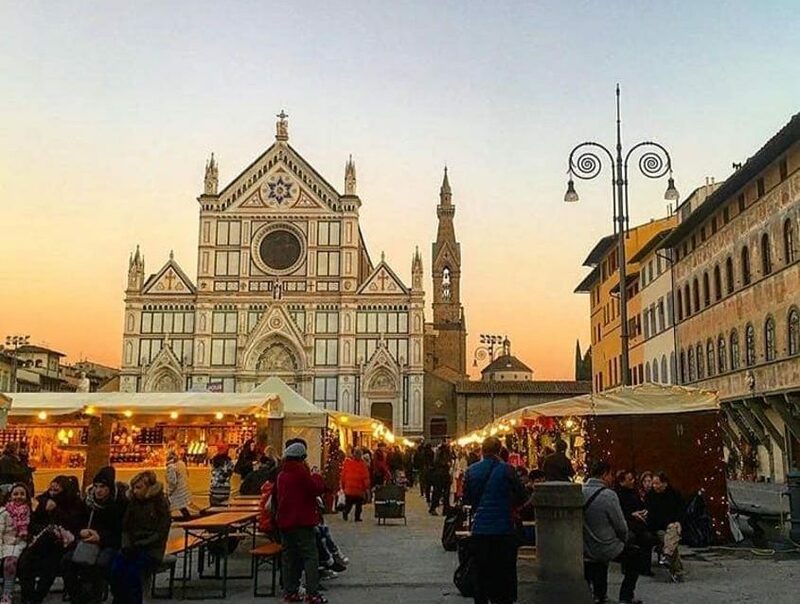 Also for this Christmas the appointment with the Weihnachtsmarkt returns to the German market in Piazza Santa Croce from November 28th to December 20th. The more than fifty stands housed in the characteristic wooden houses will bring to Florence the aromas and flavors typical of Christmas with artistic handicrafts and traditional foods from all over Europe. An opportunity to taste inviting gastronomic specialties, warm up with delicious hot drinks and browse through the stalls looking for original gift ideas and handmade Christmas decorations and a rich program of events.